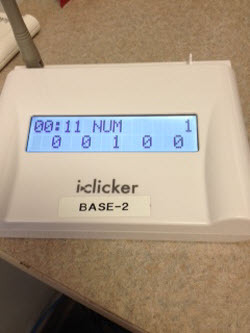 After initial installation, here's how to use the iclickers in class. You must have the iclicker software installed prior to taking these steps. 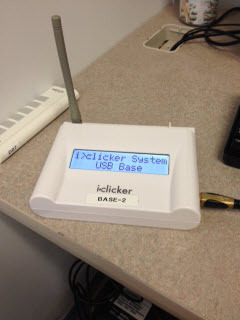 Step 1:Plug in the iclicker base to your computer. 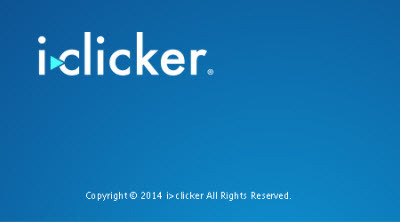 Step 2:Open the iclicker software. 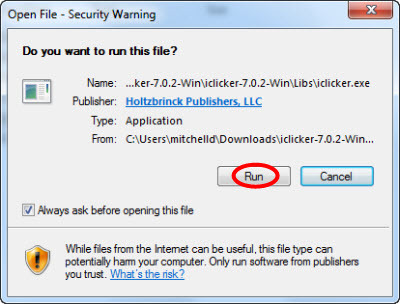 Step 3:If prompted by security, select Run. 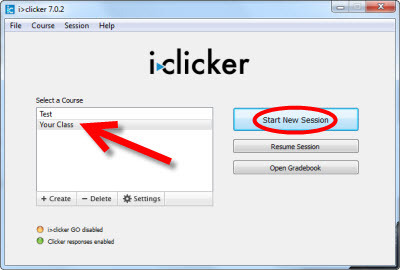 Step 4:Select your course and click Start New Session. Step 5:The Session toolbar will appear. Step 6:On the Session Toolbar, click Multiple Choice to begin. You can change the type of poll by clicking the drop down arrow and selecting a different choice. Step 7:On the base receiver, you will see the polling timer, and the vote count received for each answer choice. Step 8:Click the red square button on the Session Toolbar to end polling. Step 9:To view the results, click the graph button on the Session Toolbar.